Did you know? Just a few minutes drive from Johns Island you’ll discover the local and convenient shopping, dining, & entertainment center named Freshfields Village. The multi-use, indoor/outdoor retail space is located nearby on Kiawah Island , approximately 15 mins from new homes by Brock Built and FrontDoor Communities available in Stonoview. We encourage all of our Johns Island homeowners to drop by soon, so they can experience how nice and convenient this place is for residents. 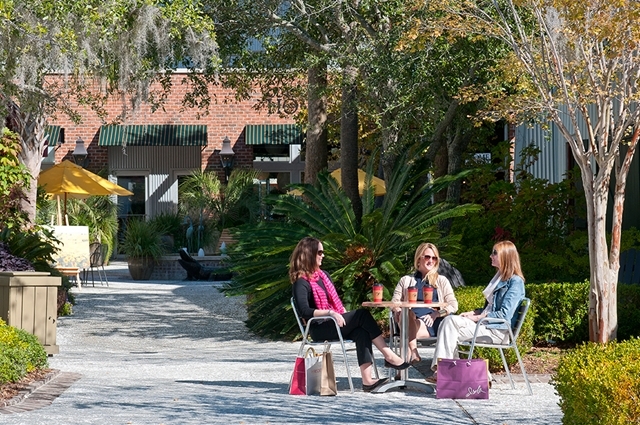 Have a casual walk among the various brands and businesses available here, while being surrounded by attractive Lowcountry architecture. We believe that you will love it. This popular destination village will be adding five new stores & spots in the coming weeks and months. Appears that it won’t be too long before the expanding shopping center reaches 30+ stores in total. Prediction: it will be much sooner than later for the local and convenient Freshfields Village.